September may bring cooler weather and falling leaves but here at Fair Ivy, September means our subscribers are getting some shine, sparkle and a bit of glitz added to their everyday style. 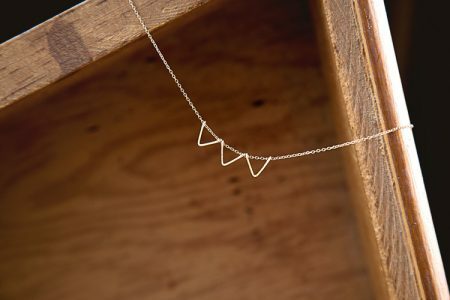 This mini bunting necklace is sweet with just a bit of edge and was handmade just for Fair Ivy. 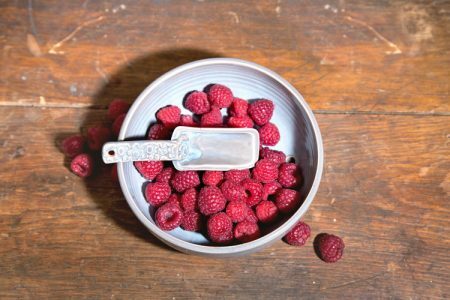 Read on to see the adorable packaging and this little bit of handmade loveliness. 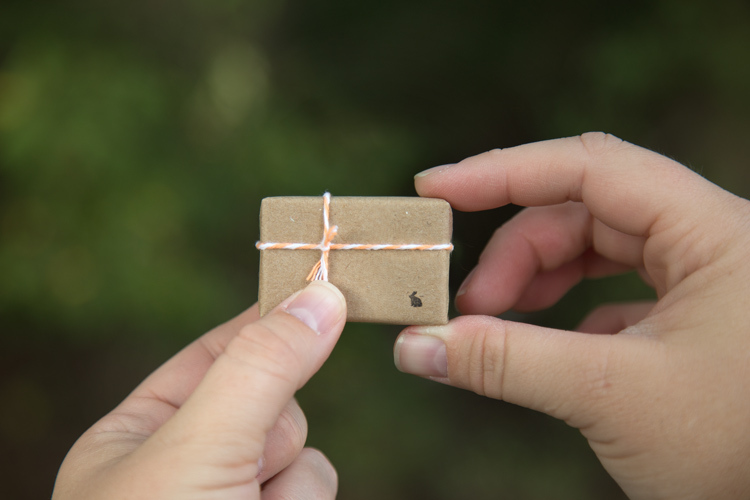 Arriving in the tiniest box ever, the monthly gift box for September is brought to you by Bunnies in LA, located in the heart of downtown Los Angeles. 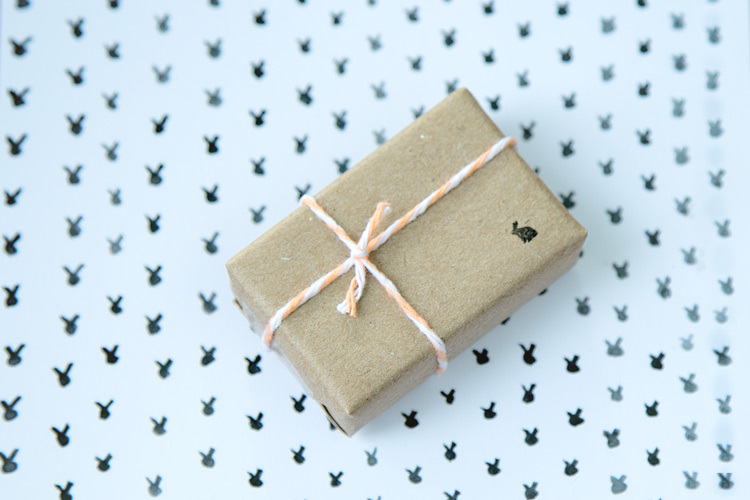 We simply love the mini bunny stamp adorning each little box and the artist card. 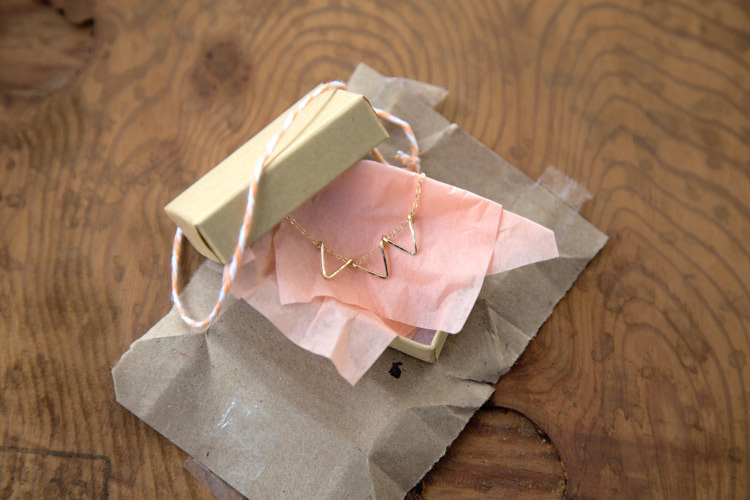 Carefully tucked inside, Fair Ivy subscribers will find this lightly hammered bunting necklace. Each triangle is formed by hand and gently hammered to add a little bit of texture to the front surface. 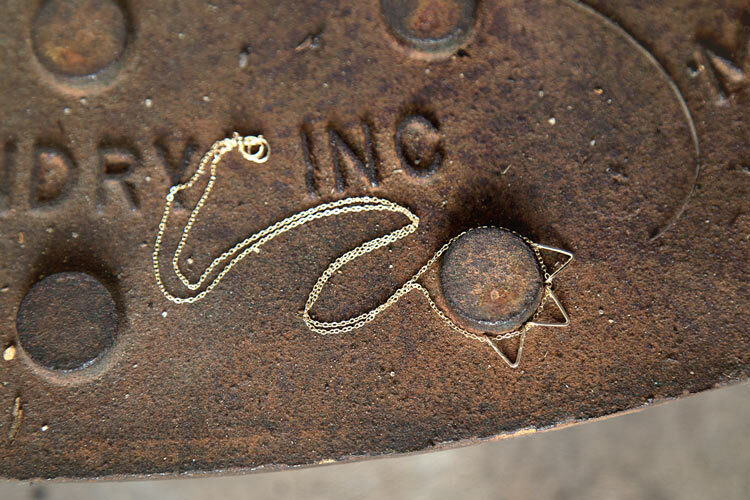 The necklace itself sits along the collarbone and has a lobster clasp to keep it firmly in place. 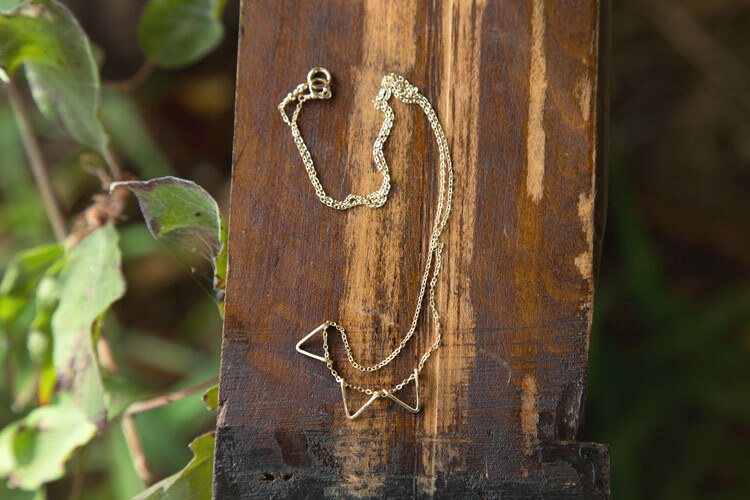 In business since 2012, Bunnies in LA makes necklaces, charms , rings and other pieces. 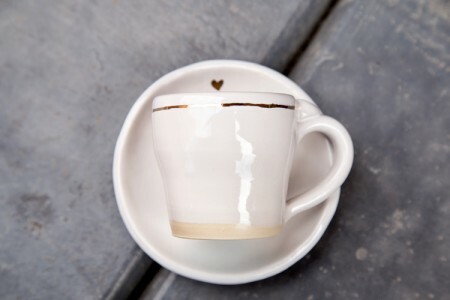 Their designs are a little bit of dainty and a little bit of edginess, with an easy to wear style. 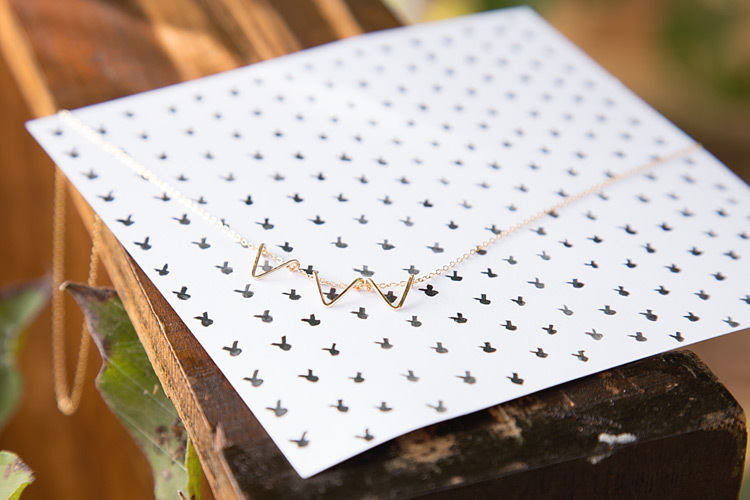 Although this bunting necklace was made just for Fair Ivy subscribers, be sure to check out the Bunnies in LA shop to see all of the other lovely pieces they offer.